Shopping in your supermarket's produce section is like strolling through a museum of humanity's greatest inventions. Perfect ears of golden sweet corn; tomatoes of different sizes, shapes and colors; and spicy jalapeño peppers are all a testament to human ingenuity. You may not consider food an invention, but nearly all foods we eat are the product of thousands of years of constant breeding and selection. In the distant past, when our ancestors transitioned from hunter-gatherers to an agrarian lifestyle, they began domesticating plants by breeding them for characteristics they found desirable – bigger, tastier fruits and more compact growth. The wild ancestors of domesticated crops looked much different than the foods we eat today: They had smaller, sometimes inedible fruits; the plants grew in a sprawling growth pattern; and they scattered their seeds or dropped their fruit to the ground in order to ensure the survival of their species. To put it bluntly, you wouldn't want these wild plants in your garden, or on your dinner plate. Although you likely won't find them in your grocery store, you may have seen groundcherries for sale at your local farmer's market. The groundcherry is a wild relative of the tomatillo and, much like the tomatillo, its fruits are encased within a papery husk that protects the fruit from spoiling. The berry inside the husk is small – marble-sized – but delivers a big citrusy flavor. A source of antioxidants, vitamins A, B and C, and other nutrients, these small berries are exclusively grown in small-scale farms and home gardens. Based on the groundcherry's wild growth habit and small size of fruit, we identified it as an underutilized crop. Our current research has been focused on how to incorporate groundcherry into the current food system. Commercial production of the groundcherry (Physalis pruinosa) is virtually nonexistent, a void that can at least partially be attributed to the plant's unruly growth. With its long sprawling branches, the groundcherry requires extensive management to tame its growth. Its branches are adorned with husk-covered fruits that fall to the ground, often before ripening. 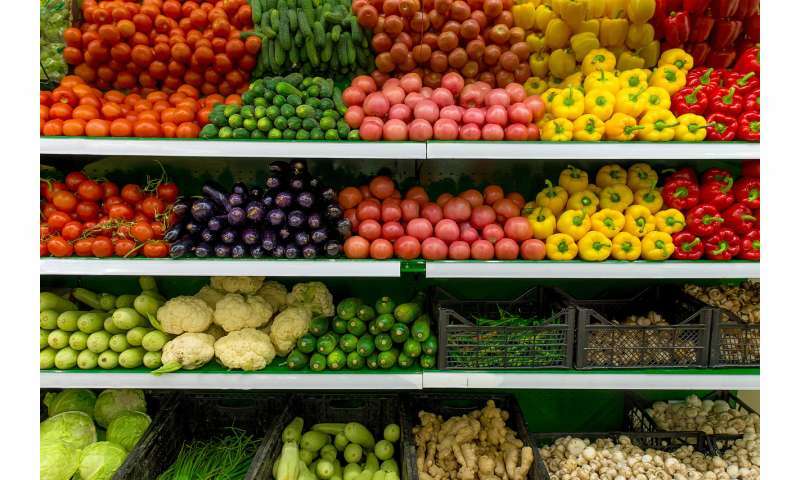 This makes harvesting the fruits a labor-intensive process, and raises food safety concerns if the fruits come in contact with soil microorganisms that can cause food-borne illnesses. This process, still in use today, is messy and time-consuming; there is no way to control which genes are, or aren't, mutated, and screening thousands of plants can take time. In tomato, a natural mutation in the SELF PRUNING (SP) gene, which represses flowering, results in plants that have more manageable growth. We hoped to see the same response when we "CRISPR'ed" groundcherries, and found that the plants with mutated SP grew with a much more compact structure. Specifically, the branches of these plants were much shorter than their unedited counterparts. This more diminutive growth habit is preferable for larger-scale agricultural settings, because more compact plants can be grown and harvested more easily. 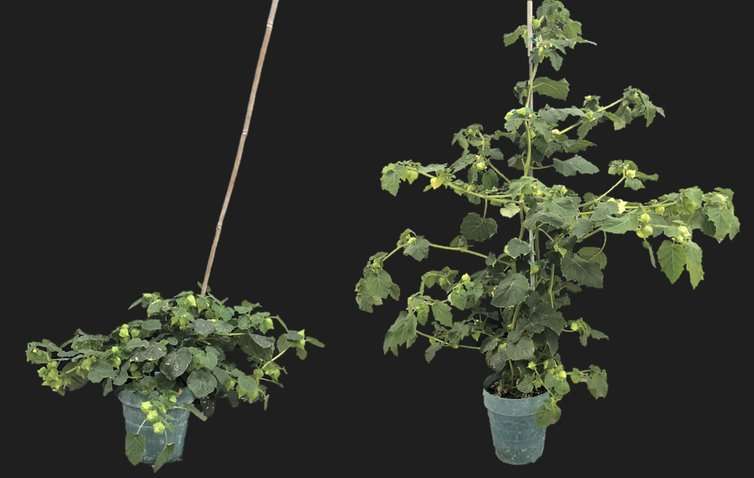 At first glance, groundcherry plants with mutated CLV1 looked the same as their unedited counterparts. However, fruits from CLV1-mutant plants were larger, weighing 20 percent more after mutating this single gene. CLV1 is just one of many genes controlling fruit size. We expect that mutating more of these genes will enable us to create larger fruit in a short time. The process of CRISPR'ing a plant gene, such as CLV1 and SP, takes only about a year, whereas traditional breeding usually requires much more time and effort to achieve the same result. Ultimately, we envision creating a more compact groundcherry plant with larger, more nutrient-laden fruits that remain on the plant. 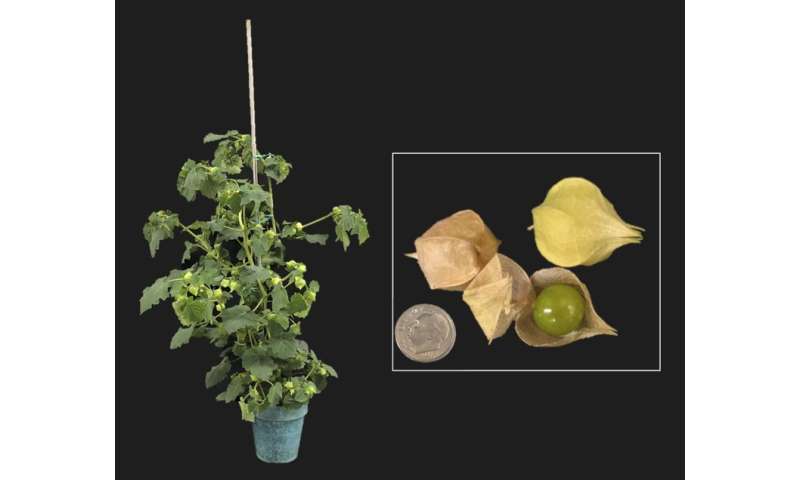 To do so, CRISPR/Cas9 mutations of all the genes controlling these traits will be combined into a single plant to create a fully domesticated groundcherry worthy of growing in farmers' fields and stocking grocery store shelves. Importantly, the groundcherry isn't the only wild plant that can be domesticated. CRISPR/Cas9 can be applied to virtually any plant species, so in the future more wild species may be domesticated much the same way we have achieved here.